The following frequently asked questions and answers have been compiled to help you better understand our affiliate program. What is the Woolvey Affiliate Program? What does it cost to join the Woolvey Affiliate Program? How much can I earn as a Woolvey Affiliate? What is an 'eligible purchase'? What do I need to do to become a Woolvey affiliate? My site is based outside of the U.S. Can I still be an affiliate? Can I link my site to Woolvey and also to other sites that offer competitive products to Woolvey? Will Woolvey place a reciprocal link back to my website? Do I need to have an on-line store to participate as an affiliate? Can I amend the links provided or create my own links to Woolvey? Can I take orders on my site and send the information to Woolvey? Are there any minimum sales targets I must meet? I would like to link to a specific category of products rather than to the Woolvey home page. Is that possible? Does the Woolvey Affiliate Program support text links or banner links? If I refer a visitor to Woolvey and they do not buy something on that visit but return later to buy something, will I still get credit? Can I purchase products myself through my affiliate link? I have a question that is not answered above. How do I find an answer? It is a commission-based referral program that pays you commission on all eligible sales made by customers you refer. Nothing! There is no cost to join and you may cancel your membership at any time. We pay 10% commission on all eligible purchases. There is a minimum commission threshold of $10 that must be met before payment is made but there is no maximum earnings amount. Please note that Woolvey can change commission earning levels at any time. Payments are issued to qualifying affiliates following the end of each month, based on all eligible purchases credited to the affiliate. All payments are sent securely using the PayPal payment system, so affiliates MUST have a valid PayPal account. First, you need to have a web presence where you can place referral links. That web presence must contain content that is deemed appropriate for our target customer base and should ideally include content that is relevant. If you meet this requirement, you simply need to sign up as a Woolvey affiliate, providing us with sufficient detail to identify you and pay you, then add one or more of the links we provide to your website. Woolvey currently operates just in the U.S., requiring a U.S. shipping address for all orders. As such, non-U.S. affiliates will only be accepted if they have a web presence that attracts significant U.S. visitors. The Woolvey Affiliate Program places no restrictions on other sites to which you may link or be an affiliate, so long as the placement of the link to https://www.woolvey.com does not imply an affiliation that does not exist or in some other way misleads a visitor. The Woolvey Affiliate Program is not a link exchange program. It is designed to promote Woolvey's products in exchange for commission payments. Woolvey also operates a link exchange program, through which you may apply for a reciprocal link. No. The links we provide contain the necessary information for us to keep track of customers you refer. We retain records of customer activity for those customers, which is viewable through your affiliate sign-in. All you need to do is place the provided links. No. The links provided are the only accepted methods of referral. This ensures consistency of the Woolvey brand and ensures that you are correctly identified as the referrer. You may add your own text around the links, as a review or enhanced description of our website, for example, as long as the text does not breach the terms of appropriateness. No. 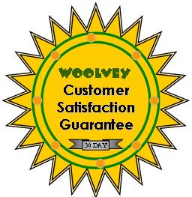 All orders must be processed through https://www.woolvey.com. No. All affiliates are valued no matter how few customers they refer. There is a minimum commission target of $10 that must be reached before payment will be made but accrued commission never expires. Yes it is. We provide several types of links. Some will link to the Woolvey home page and some will link to a specific category or sub-category of products. If one of the pre-defined links does not suit your requirements, we offer a facility to build your own link. We provide both banner links and text links. You may select to use either or both. That depends. We do everything we can technically and legally to keep track of customers that you refer and in many cases you would get credit for a returning customer. However, if that customer has their browser settings adjusted so that their identity cannot be confirmed as a referred customer, you would not get the credit. We make no representations regarding the ability of our tracking system to track any specific customer for any specific period of time but, in accepting the terms of this program, you accept that the decisions of the system, regarding sales credit, are final and not open to debate. It is allowable to purchase through your own affiliate link but it is a breach of the terms and conditions of the Woolvey Affiliate Program to create an affiliate account solely for the purpose of getting an affiliate discount on your own purchases. We reserve the right to withhold affiliate payment in situations where this form of abuse is suspected. First, please read the terms and conditions carefully. If your question is still unanswered or unclear, please use the contact us page to ask your question.